Let us clean your drapes and other window treatments right where they hang in your home! We can clean or refinish your hardwood floors to look like new! Quality upholstered furniture can be quite an investment, let us keep it clean! Longshore Services, based in Madison, CT, is a family owned and operated specialty cleaning business serving New Haven, Hartford, Middlesex and southern New London Counties. Absolute Best Cleaning, our textile and surface cleaning division, has been providing services in Connecticut for over twenty five years. Our Services: Absolute Best Cleaning offers professional textile and surface cleaning services to both homeowners and commercial property owners. Absolute Best Cleaning’s professionals have been trained and certified by The Institute of Inspection, Cleaning and Restoration Certification (the “IICRC”). We specialize in carpet cleaning, rug cleaning, upholstery cleaning, tile cleaning, marble cleaning, grout cleaning, grout sealing, drapery cleaning, in plant Oriental and area rug cleaning, power washing and window shade cleaning. LEARN MORE: In Plant Oriental & area rug cleaning service! Call us now as to how we can bring life back to your grungy exterior surfaces around your business or home. Recently we had terrific success power washing a Branford CT home. Check it out! I have used Absolute Best Cleaning several times for commercial carpet care. Chris Weiler and his staff are responsive, accommodating, and do excellent work. I have also found their pricing to be competitive with other commercial floor services. I plan to continue using Absolute Best for our carpet cleaning and would not hesitate to recommend them to others. Why hire a professional cleaner? Over time, even the best maintained surfaces become soiled. These soils become embedded, and can be extremely difficult, if not impossible to remove with standard cleaning products. These soils not only look unsightly, but also contribute to premature wear and degradation of your textiles, and poor air quality in your home or office. Our specialized training and education, coupled with our powerful cleaning equipment enable us to return your textiles and surfaces to a condition you never dreamed possible. We know that you have made a substantial investment in your floor coverings, furniture, and window treatments. It only makes sense to protect your investment with regular cleaning and maintenance. 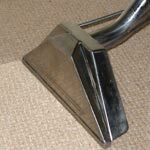 I am a Real Estate agent in the shoreline area of Connecticut and have used Absolute Best Cleaning for carpet cleaning personally, and have also recommended Chris to my clients. The highest form of compliment that I can give to Absolute Best Cleaning is the fact that I would not hesitate to give my clients their name because I know they will do the best job, at the best price, and back up their work. They get 5 stars in my book. Let Absolute Best Cleaning, New Haven, Hartford, Middlesex and southern New London Counties’ most reputable carpet, rug, upholstery, drapery, tile and grout cleaning company make your life easier!